The sensor matrix gives an overview of standard sensors from hps+ family. Make your choice based on operating range and available outputs and click in the matrix. the ultrasonic transducers of the new hps+ sensors are now fitted out - as standard - with a PTFE film. It is sealed with a FFKM O-ring against the housing made of 1.4571 stainless steel or PVDF. This ensures a high degree of resistance to aggressive media. 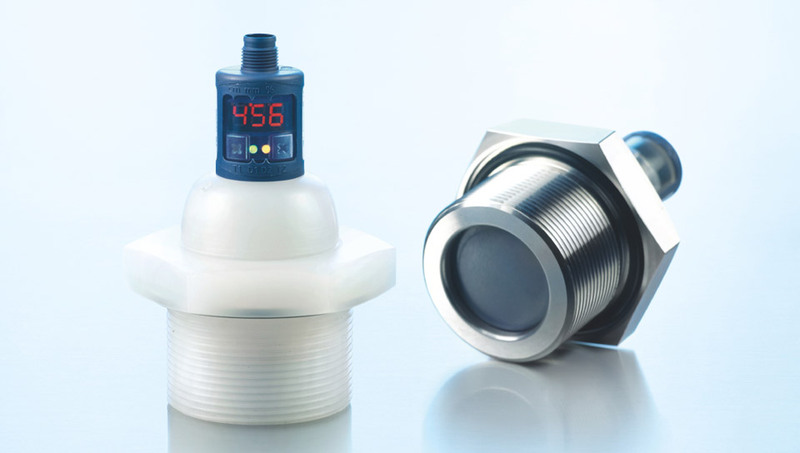 The hps+ sensors can be used for fill level measurement under normal pressure or in tanks and containers with an overpressure of up to 6 bar. 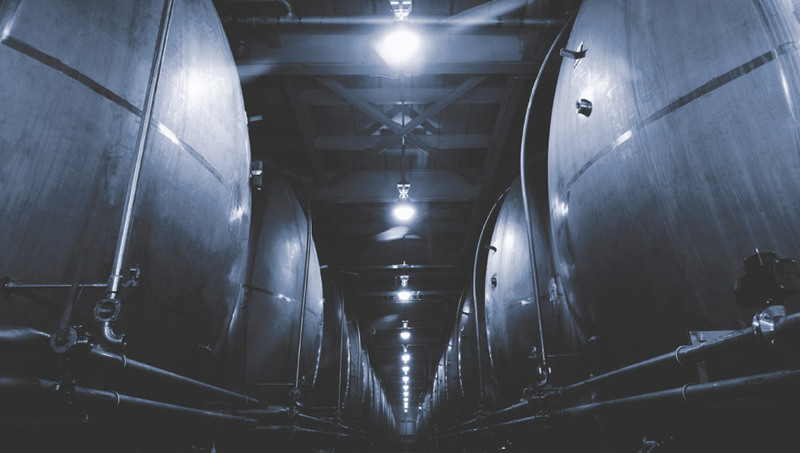 Its special software filters also allow its use in containers filled from above or that have a stirring system. Pressure-tight installation in a tank is undertaken by means of a 1“ threaded flange or a 2“ one in the case of hps+340. and seal tightness were tested through being stored over cellulose thinner and 1,000,000 alternating pressure stresses. Cellulose thinner is extremely corrosive and has a high rate of penetration. always show the current state of the switching outputs or the analogue output. all configuration can be done right at the sensor. The easily legible three-digit LED display continually shows the current distance value and automatically switches between millimetre and centimetre displays. can optionally be carried out by numeric input of the desired distance values, or using a Teach-in procedure. This permits the user to select the configuration method preferred. The hps+ sensors support synchronisation and multiplex operation and have extensive parameterisation options via LinkControl. 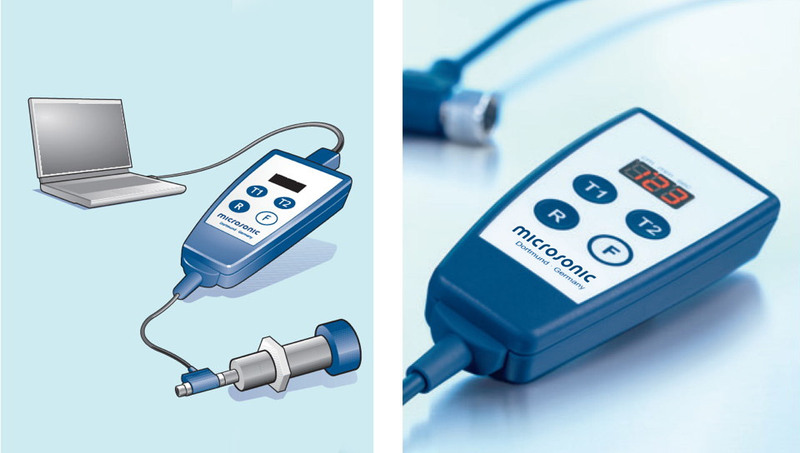 Further information on how to set up hps+ sensors can be found at mic+ sensors. consists of the LinkControl adapter and the LinkControl software and facilitates the configuration of the hps+ sensors via a PC or laptop with any conventional conventional Windows® operating system.